Do you have a leaky faucet and are tired of listening to it drip water? Our Vancouver faucet repair team can help you! If Installing a beautiful new sink, faucet and counter-top in your Vancouver residence will add as much value to your renovation as new flooring and appliances. An updated fixture can help you with your daily chores, and can improve the design and functionality of a room. At DJ Plumbing, our professional team of licensed and experienced plumbers have made thousands of installations in homes all over Vancouver. Give us a call today to discuss your options when choosing one of the many products available on the market. We will ensure you pick the one that suits your needs and budget. Installation is only one of the services we offer in Vancouver and many other cities. You need someone to repair a leaking faucet? You have water pipes leaking? A leaky shower faucet needs repair? We are a phone call away, always ready to meet your plumbing and faucet repair needs to get your water flowing again! Regardless of whether you need residential or commercial plumbing services, you can count on us to resolve your plumbing issues. When it comes to faucet repair in Vancouver, we have you covered. Your leak has met its match! Not all fixtures will be installed for the same price. In general, there is a set price for a standard installation, and it might seem like a simple task. However, there are several factors and potential problems that may need to be addressed to ensure the work gets done within your budget. 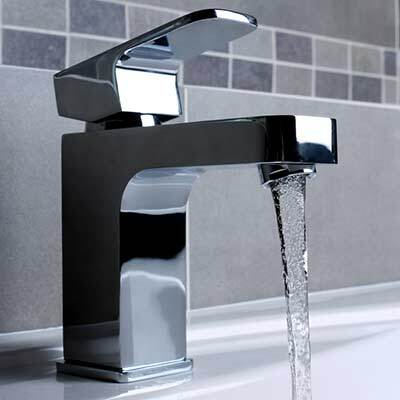 Condition of the current faucet: If it is rusted for lack of regular cleaning or has broken parts, it will be harder to remove and could potentially damage the plumbing and water lines. They would then have to be replaced. Click Here to Request a Plumber or Call 778-227-1119 for 24 Hour Emergency Plumbing Service. Do the counter and the sink work with the installation? It is important to buy a fixture that matches the existing ones, as well as the counter and sink location. Unless you are planning to replace the sink and counter-top, it is a good idea to take measurements before you buy the fixtures to ensure that your new one is going to work with the existing setup. Also, you need to consider how well the new unit will match your sink, existing plumbing fixtures, or the overall design of the place. We provide additional plumbing repair services such as sink installations and repair. Make and model: Prices can range anywhere from $100 to as much as $1,000 or more. It might not affect the installation cost, but it is important to keep this in mind when planning an upgrade. Warranties: Not all bathroom plumbing and kitchen plumbing faucets have the same lifespan. Before you decide on a fixture, it is a good idea to find out about the warranty included on its hardware and internal parts. Connectors/mountings: If the existing connectors or mounting are damaged, you will need to pay for them to be replaced. The condition of the plumbing in your home: If your plumbing is old and damaged, or is not up to date with current plumbing codes in Vancouver and surrounding areas, you might need to have it repaired or replaced. Speaking of faucet repair cost, we can also help you with an estimate. Get in touch during our hours of operation and we will provide you with a free estimate as part of the service. It’s always good to have the number of an emergency plumber in your contacts book. While people will always need home plumbing services, it doesn’t mean they cannot avoid certain costs through preventative action. You can rely on us for inspection and preventative maintenance, which will keep your home leak-free and will definitely benefit your budget. It is a good idea to research the different makes and models available before you buy. Each model will offer its own set of advantages, disadvantages, special features, and design elements. Do you go with one-handle or two-handle faucet? Should you know something in advance if, for example, you find yourself in need of two-handle kitchen faucet repair? Which outside faucet should you choose? Making a choice for your kitchen, bathroom sink, or tub requires some expertise. At DJ Plumbing, we are happy to give you the advice and practical tips you need when it's time to change the plumbing fixtures in your home or business. We operate in areas around the Lower Mainland and among the cities we serve are Vancouver, Burnaby, Coquitlam, Port Coquitlam, Port Moody, Pitt Meadows, New Westminster, North Vancouver and West Vancouver. Besides years of experience under our collective belt, we pride ourselves on having a BBB accreditation. A leaky water tap is one of the most common home plumbing issues that call for the tools of our trade. While many complain of the noise associated with water dripping, it’s the water literally going down the drain that should be the real concern. Usually one of three things is wrong when a repair emergency arises: the washer, the o-ring or the jumper valve. As your contractor will tell you, it’s a good idea to replace all three when the water tap is disassembled. The washer could be a rubber or ceramic disc or a cartridge. All can wear out over time and may need to be replaced. With increasingly busy lives, many Vancouver homeowners simply don’t have time to repair leaky faucets, let alone install new ones. The DJ Plumbing team of plumbing repair contractors will ensure your job is done fast and hassle-free. Give us a call today. Not sure if the faucets you like are going to work in the space? Give us a call 778-227-1119 or email us info@djplumbing.ca and ask about our In Home Consultation Services. We are here for you if any residential plumbing issues need tackling. 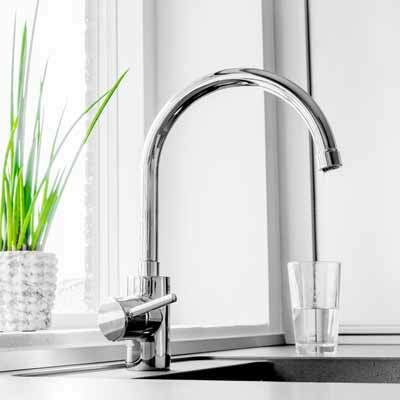 Do you need your kitchen faucet repaired or a kitchen faucet replacement? Perhaps you need a specialist for bathtub faucet repair, someone skilled at bathroom faucet repair, or a plumber to repair your bathroom sink faucet? Reach out to us for anything related to faucet repair in Vancouver. For 24-hour emergency plumbing repair services in Vancouver please call ﻿﻿﻿778-227-1119﻿﻿﻿. I’ve used the services of DJ Plumbing on 2 different occasions. The first time was to install a new sink in my laundry room and the second time was to replace an old tap that wouldn’t stop dripping water in our guest bathroom. I was very happy with the service I received and plan on using them in the future for a hot water heater replacement would definitely recommend their services. I highly recommend the services of DJ Plumbing. My husband and I own several older rental properties in Vancouver. As you can imagine, we’ve had to do several repairs over the years. Dave has been our go-to plumber. His craftsmanship and customer service have always been nothing less than excellent. Thank you for all of your help. Click Here to Schedule a Service ﻿﻿Call or phone 778-227-1119 for 24 -hour emergency plumbing repair services in Vancouver.